Wingsuit pilot Roberta Mancino is not a person you would want to take on in a staring contest. She would win, and we know this because she’s stared down two enormous skyscrapers and then flown between them, all while wearing nothing more than a onesie that makes her look like a flying squirrel. Captured on (you guessed it) a GoPro, Mancino throws herself out of a helicopter in Panama City, Panama and then undertakes one of those mind-boggling stunts that only works if you can detach yourself from any realm of reality that involves fear. What we find so astonishing is the look of abject joy on her face – thousands of years of evolution just out of the window because when faced with two rapidly approaching painful ways to die she simply shakes it off and goes straight between them. Impressively (aside from the entire video) at the last minute she’s hit with what appears to be a rogue gust of wind resulting in some frankly superhuman reflexes. Right, enough gushing from us, watch it, be extremely impressed and then be thankful that you’ve got two feet firmly on the ground. A California man has died while wingsuit-flying among remote cliffs on the Arizona-Utah border, authorities said. The Coconino County Sheriff’s Office said Wednesday that it is devising a plan to recover the body of Mathew Kenney, 29, of Santa Cruz. It is trapped in a crevice about 600ft below where he jumped Tuesday in the Paria Canyon-Vermilion Cliffs Wilderness – a rugged, desolate landscape that is hard to navigate, sheriff’s Lt Bret Axlund said. Kenney hit a wall after jumping with a wingsuit, but investigators said they’re not sure exactly how it happened. Once they reach his body, they will examine his equipment, Axlund said. Patches of ice and steep terrain atop the canyon walls kept a helicopter from landing Tuesday to try to reach the body. Wingsuit flying is one of the most extreme forms of Base jumping – Base being an acronym of the different platforms, “building, antenna, span and earth.” Wingsuit fliers glide frighteningly close to cliffs and trees in their suits that resemble flying squirrels. It is illegal in national parks but not in the wilderness area where Kenney jumped. Kenney’s close friend, Matt Frohlich, said Kenney was an experienced, talented jumper who had traveled around the world. He said he was thankful for the respect and professionalism that authorities have shown Kenney’s friends and family. In an early 2015 interview with Phoenix television station KPHO, Kenney described the nervousness and anticipation that comes with Base jumping. He and a fellow skydiving instructor had jumped from the roof of a Tempe apartment complex and spent the night in jail for trespassing, the station reported. Kenney’s death is the first attributed to Base jumping in the Bureau of Land Management’s Arizona Strip District, which encompasses much of the far northwestern corner of the state north of the Grand Canyon, BLM spokeswoman Rachel Carnahan said. The area is popular with hikers for its slot canyons and a formation known as The Wave, a geologic formation with swirls of searing reds, oranges and yellows that fold into a bowl. The agency is not considering any restrictions on Base jumping as a result of Kenney’s death, Carnahan said. Authorities in northern Arizona have had to respond to other Base-jumping fatalities in recent years. A Norwegian man died in 2012 when a gust of wind blew him into a canyon wall and his parachute malfunctioned. The sheriff’s office said he fell about 1,000ft onto the canyon floor near the Little Colorado River. More recently in 2014, a Canadian man wearing a wingsuit died after trauma from a fall near the confluence of the Little Colorado and Colorado rivers. His friends reported seeing him about 2,000ft below the top of a canyon. iPhone repair services are playing a vital role and easily accessible to all those who seek to repair their damaged iPhones. No matter which problem your device faces, you can get in touch with the repairing professional who will definitely solve your problem by taking the right steps. In case, if you also compare the repairing cost of your existing device against the price of purchasing a new one, you will definitely find that you can save approximately 100 dollars even if the damage to the unit is substantial. Apple’s iPhone 6 and 6 Plus, released in September, have only been available for a few months, but rumors about the next-generation iPhone are already trickling in. 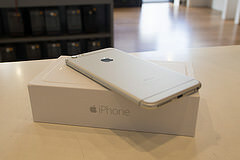 With the launch of the iPhone 6 and iPhone 6 Plus in September 2014 Apple, for the first time ever Apple gave us two high-end phones and a real choice for consumers. With all of that success, we’re all interested now in how Apple can follow this up with its next smartphones. Here we’ve rounded up all of the likely rumours about the handset, while we peel back the layers of half-truths and outright nonsense to find out what Apple really has in store for us.